In late 2012, a group of Madison’s young entrepreneurs, including Troy Vosseller (gener8tor), Forrest Woolworth (Capital Entrepreneurs), and Scott Resnick (Capital Entrepreneurs) joined forces with other entrepreneurial, tech and civic leaders, including Madison Gas and Electric and the UW’s Law & Entrepreneurship Clinic. The idea was to bring together in a single location the critical components that local entrepreneurs need to start and grow businesses, create jobs and stimulate the regional economy. The founding team evaluated other cities’ entrepreneurial hubs, including 1871 in Chicago, MassChallenge in Boston, 1776 in D.C., The Water Council in Milwaukee and CoCo in Minneapolis. Committed to building an entrepreneurial ecosystem organically from the ground up, the team also employed and continues to use an open and inclusive model in developing the project, welcoming input and involvement from a wide variety of individuals and entities throughout the community. Although these collaborations and partnerships play a critical role in shaping the project, StartingBlock remains committed to its “By Entrepreneurs, For Entrepreneurs” mentality. In June 2013, the group retained George Austin to guide the development process. Mr. Austin is an experienced project manager for community-based projects, including the Monona Terrace, the Overture Center and the Wisconsin Institutes for Discovery. In late 2013, the group officially formed StartingBlock Madison, Inc. as a Wisconsin non-stock corporation. In May 2014, StartingBlock received federal nonprofit status. After successfully completing our $10 M capital campaign for the StartingBlock hub and partnering with American Family Insurance and the City of Madison, American Family Insurance broke ground on the “Spark Building” in January 2017. StartingBlock’s 50,000 square foot entrepreneurial hub will occupy the second, third and fourth floor on the Spark providing a collaborative community for Madison area startup and entrepreneurs. Our mission is to put Madison on the national map for entrepreneurship and innovation by creating the intersections that cultivate entrepreneurs, accelerate growth and drive innovation. 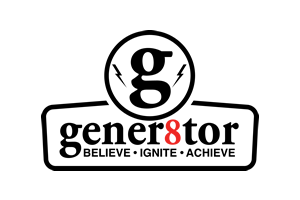 Gener8tor: the region’s platinum ranked accelerator program. 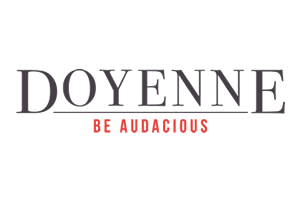 Doyenne Group: building entrepreneurial ecosystems that invest in the power and potential of women entrepreneurs. 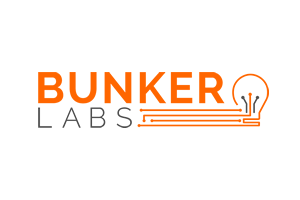 Bunker Labs: empowering military entrepreneurs as innovation leaders. 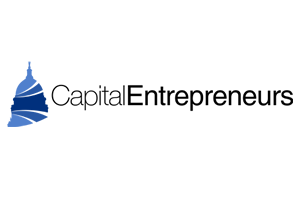 Capital Entrepreneurs: peer-to-peer network bringing 300+ entrepreneur members together to learn, share and collaborate. 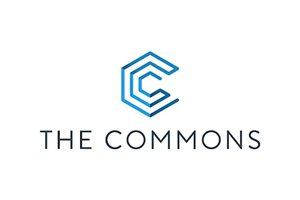 The Commons, a Milwaukee organization expanding to Madison this summer that brings student entrepreneurs together to work on real-world innovation problems. Wisconsin Games Alliance: is a local network of game studios, independent developers, faculty, investors, and regional economic development agencies. Chandra handles day-to-day leadership at StartingBlock Madison. BIO: Chandra has been part of the StartingBlock Planning Team since 2013. Prior to joining StartingBlock, she was VP and a co-founder of a Boston-based biotechnology startup (now Bioarray Genetics, Inc.); Senior Advisor to the Governor; in executive leadership at the Wisconsin Department of Commerce; and an associate at a San Francisco litigation firm (now Arnold & Porter). She holds a J.D. from UC-Berkeley School of Law (Boalt Hall) and a B.A. from Macalester College. She serves on several charitable boards and is passionate about food and biking. Lucas helps growing startups find, hire and retain the talent they need to succeed. BIO: Lucas has over a decade of experience recruiting in Chicago where he assisted Fortune 500 companies and advertising agencies build their creative and technology teams. His focus areas include UI/UX Design, Development (Front/Back End and .NET), Project Management (both Digital and Technology driven) and Content Creation. He’s also a certified intermediate sommelier, talented amateur photographer, and the proud owner of a very friendly rescued pitbull named El. Scott provides leadership and advice to startups and entrepreneurs. Scott also is building our mentorship program. BIO: Scott is the COO of Hardin Design and Development. The company focuses on web and mobile applications for Fortune 500 companies such as Mercedes-Benz, Coleman Camper and FedEx. He primarily oversees new business development, account management, and portfolio investments. Scott is a former member of the Madison City Council. We are hiring a Program and Community Manager starting January 2019.